AUGUSTA, Maine (AP) — President Donald Trump’s son is raising money for Republican candidates in Maine. 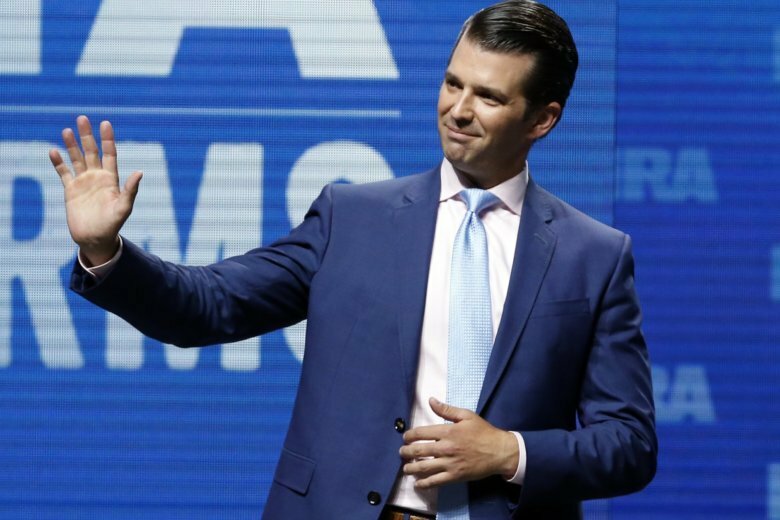 Donald Trump Jr. spoke Monday night at a fundraising event at the Holiday Inn By The Bay in Portland. Republican guests included Gov. Paul LePage, U.S. Senate candidate Eric Brakey, Senate Majority Leader Garrett Mason and House Republican Leader Ken Fredette. A general reception cost $100 per attendee. Tickets for a private reception started at $1,500 per person. The event was closed to the press. A handful of protesters were outside. Trump Jr. is a vocal proponent of his father’s policies. He’s recently headlined rallies in Pennsylvania and Montana.